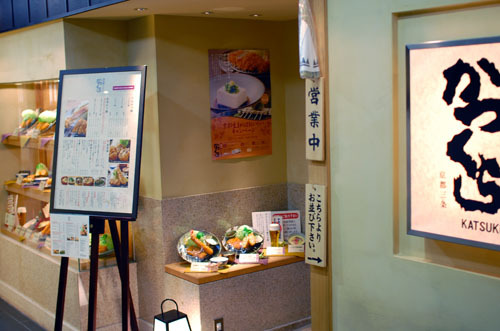 Excellent Kyoto-style tonkatsu - you'll find tofu and yuba side dishes and other local touches, along with great tsukemono (pickles). The tasteful interior features earth-toned stucco walls and modern artwork. JR Kyoto Station, The Cube, 11F.